Deep inside the dreaded Bastille, a young prisoner has languished, his face hidden from all, for eight long years. He knows neither his true identity nor the crime that got him there. Then Aramis, one of the original three musketeers—the finest swordsmen in all of France—bribes his way into the young man’s cell to reveal the shocking truth. The revelation of this truth could very well topple Louis XIV, King of France, from his throne—and Aramis aims to do just that. Alexandre Dumas was born July 24, 1802, at Villiers-Cotterets, France, the son of Napoleon's famous mulatto general, Thomas-Alexandre Dumas, who eventually fell from favor and died impoverished when his son was only four. Alexandre Dumas began writing at an early age and saw his first success in a play he wrote entitled Henri III et sa Cour (1829). A prolific author who also had to battle racism throughout his life, Dumas was politically active, taking part in the Revolution of 1830 and later working for the cause of Italian unification. 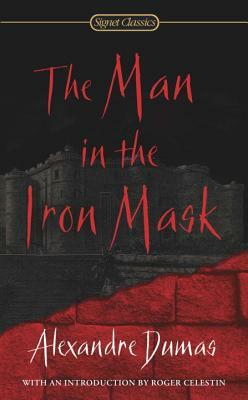 Among his most famous historical novels, which he often wrote with collaborators (primarily Auguste Maquet) and which were typically serialized in the press, are The Three Musketeers (1844), The Count of Monte Cristo (1844-45), and The Man in the Iron Mask (1848-50). Dumas made and lost several fortunes, and died penniless on December 5, 1870.